Also referred to as dental bleaching, tooth whitening is a common dental procedure to enhance the appearance of teeth that have lost their natural shine and white look. A person is born with deciduous teeth that are typically whiter as compared to the adult teeth, which eventually get darker as a person ages. Teeth can be affected because of changes in the tooth’s mineral structure or bacterial pigments that stain the teeth over time. While there are certain over the counter products that a dentist may prescribe for restoring the teeth’s natural look, optimum results are gained only when a proper teeth whitening procedure is performed under the supervision of a qualified dentist. Another major advantage of having the procedure done under the supervision of a qualified dentist is that dentists are well aware of the nature of treatment a patient would need. The dentist also knows about the right concentration of peroxide to be added in the whitening gel, which is important for getting effective results. Which Method Would Your Dentist Choose? Laser treatment is one of the most popular teeth whitening procedures employed by most dentists these days. A light cleaning of the teeth is carried out, which is followed by the application of a peroxide solution for covering the teeth. Aragon or a laser beam is then used for bleaching the teeth. This option is quite expensive but accompanies great results in a short span of time. For patients looking for a comparatively less expensive method, dentists may use the peroxide agent on the teeth, which doesn’t involve the use of a laser. This procedure is effective but may need to repeat treatments until the desired outcome is achieved. 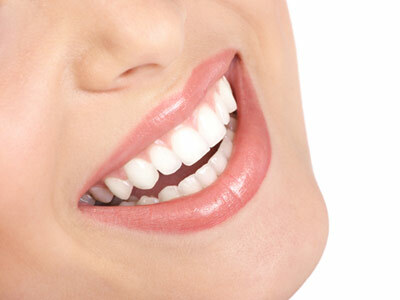 How Is Teeth Whitening Carried Out? The procedure involves the use of hydrogen peroxide that is applied by your dentist. The concentration of peroxide gel in the whitening systems is determined by the dentist and varies from patient to patient. As the hydrogen peroxide gel is typically higher concentrated, the patient requires special gum protection following the procedure. The gum protection is usually a gel or rubber shield that the dentist applies after the procedure, which is followed by the application of whitening paste on the teeth and the cleaning of teeth after a couple of minutes. Based on individual requirements, the procedure can be repeated a number of times. In some cases, a follow-up at home teeth whitening procedure is recommended for getting the best possible results. The follow-up at home procedure employs a peroxide gel having a lower concentration of around 10% to 20% that is applied to a mouth tray prepared for the patient. The patient is required to wear the mouth tray with the whitening gel for a certain number of hours throughout a day or as recommended by the dentist.